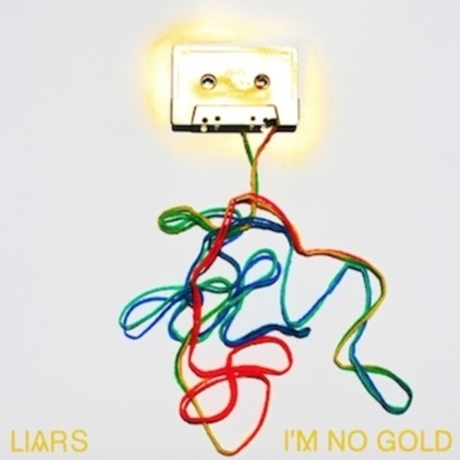 Liars "Poison Bender" / "At the Mercy of Her Mind"
Exploratory art-rockers Liars have released "I'm No Gold" as their latest since from Mess, and the digital bundle includes a few remixes and a couple of non-album cuts. "Poison Bender" begin with gentle, echoing vocals, but it erupts half a minute in with a triumphant, ascending march. The whole arrangement is dominated by a thickly droning, goopy synth pulse. The other new track on the single is "At the Mercy of Her Mind." This one showcases Liars' softer side, but while the electric strumming and gentle crooning are mostly quite peaceful, the flickering overdubs are decidedly uneasy. The ending instrumental passage is particularly dark. Hear both songs below. Note that you'll need a Spotify account to hear "At the Mercy of Her Mind." The single for "I'm No Gold" is out through Mute.